Factoring - How It Helps Small Businesses? Factoring – How It Helps Small Businesses? Home Blog Posts Factoring – How It Helps Small Businesses? To expand a business, the owner has to (willingly or unwillingly) make credit sales to allow customers pay at later stage after delivery of goods/services. Typical credit terms is 30 days or less commonly 60 days (or more). Extending sales credit terms to local customers is quite the norm especially for B2B industries. Unless you’re in B2C industries such as F&B or retail which collects COD. Running a business requires a lot of cash to procure raw materials, pay general expenses, wages and so on. If your customers are slow paying or the credit cycle is extended to several days, cash crunch could be a glaring issue. Most SMEs would then attempt to apply for financing to smooth out the cash flow crunch. Applying for a business loan in Singapore is one common option to manage cash flow volatility. Another form of financing suitable to plug working capital gaps when faced with long credit terms payment from customers is ‘Factoring’. The term factoring refers to a process in which specialized lenders known as ‘factors’ take over the invoices and account receivables of the businesses facing a working capital gap and offer an advance in return. Generally, the advance would be somewhere between 70 to 90% of the total invoices received. 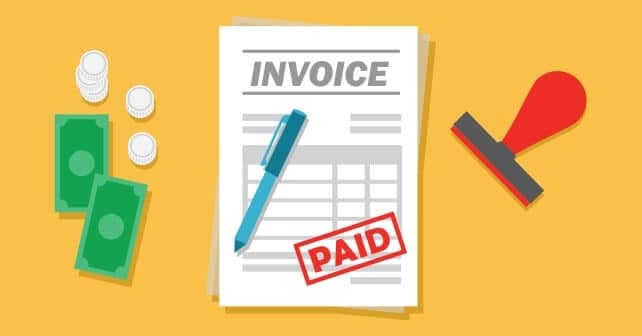 These factoring companies will make sure to check the credit worthiness of your debtors since they are essentially taking on the payment risk when buying over the receivables from you. Government Contractors – Winning a government contract could be great news for a company because it comes with a surety of payment. However, government entities are often slow in making the payment. Therefore, a company that regularly takes government contracts could be assured of the payment, but cash crunch possibilities are high. Such companies need working capital to pay all the overhead and general expenses. FMCG suppliers to supermarkets – Big chain supermarkets are known for long payment terms stretching to almost 90 – 120 days. This is because these chains have high bargaining power over suppliers due to their wide consumer and retail reach and low competition. There are less than a handful of big supermarkets and 2 of them dominate the industry. A new FMCG (fast moving consumer goods) supplier might even have to agree to consignment basis for a start when trying to place goods in the shelves of supermarkets. If the supermarket moves on to make formal purchase orders, expect long credit terms as well. Employment and labour agencies – These companies need to pay their contracted workers before they receive the money from the company to which manpower was provided on contract basis. Industries like this would include firms that supply security guard services and foreign workers manpower supply in construction sites. Often, contract workers prefer an agreement promising quick payments, right after their work is finished or every 2 weeks. Therefore, the agencies should have cash at hand to pay these workers as their clients would pay monthly or sometimes longer with credit terms. Transportation Industry – Transportation relies heavily on the factoring services. Freight factoring offers several advantages to the transportation industry including to make sure that truck drivers are paid in time. Further, the money from the factoring service is also used in increasing the fleet, and maintaining the old trucks. Maintenance of trucks is a costly affair, and therefore, the owner needs cash in case wheels or any other part is damaged to make sure that the fleet does not take more than stipulated time to reach the destination. If the trucks take longer than the expected time, it would simply mean a loss of money. Construction: Construction projects usually take months or years to complete. But, the employees and laborers need to be paid on time, and projects itself involve big capital expenditures. Payments from developers or main-contractors are usually on progressive claims and it is very common to delay payments in the industry. Cash is among the most vital ingredient needed to sustain and expand a business. So apart from the big industries (discussed above), cash flow is equally (or even more) important for the SME. By far, factoring is one of the easiest and most credible ways to finance your business and maintain positive cash flow. SMEs – owing to less paperwork – can get funds within a short time, and therefore, the situation of cash crunch can be kept at bay. Further, once the invoices are sold to the factoring company, the client is free from the unproductive works such as – Tracking the Invoices, following up on the due invoices, assist in collection efforts, and assessing the risk level of the customers. Before availing factoring services, small businesses must double-check on the terms and additional fees. For instance, there are some factoring companies, who offer recourse factoring. Under this, if the customer fails to honor the invoice, then the business owner is liable for the outstanding. If the borrowing company itself has good credit profile and the invoices they are looking to factor belongs to well-known reputable companies, some factoring companies might even offer non-disclosure factoring. This means that the lender can still make advance to borrower on invoices factored but do not have to disclose to the debtor that invoice is being factored. This will allow the borrowing company more space to manage their client’s billing and relationship instead of outsourcing collections to the factoring firm. Most SMEs still holds a stigma towards factoring as they deem that clients would think they are in bad financial shape when they discover their invoices are being factored. However, factoring is one of the oldest form of SME loan financing and is commonly used by big MNCS and corporates as well. It is a flexible and powerful working capital tool for small businesses whom might otherwise not be able to obtain traditional business loans from mainstream banks. Pingback: P2P Crowdfunding Trend In Singapore - Will it Take Off?